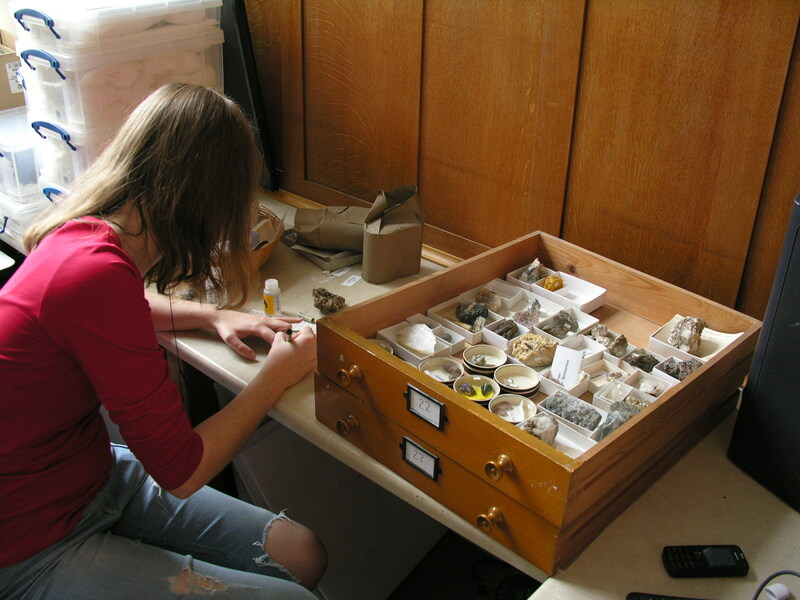 Being a University Museum, the collections that are held in the Sedgwick Museum serve many purposes. While only a small proportion are on display and able to be enjoyed by the general public, many specimens play an important role in the teaching undertaken in the Department of Earth Sciences, of which the Museum is a part. Fossils, minerals and rocks are used in practical classes, while the Museum displays are a very useful resource for small group teaching. Specimens from the collection are used for research projects by more advanced undergraduate students, as well as by post-graduate students. The collections are continually being enhanced by material studied for Ph.D. theses. In addition to being an invaluable resource for students from within the Department, the exhibitions and collections are used by a wide range of students from other HEFCE funded tertiary organisations: from art students, to historians of science, to students undertaking museological courses, to those doing scientific research based on material from the collections.